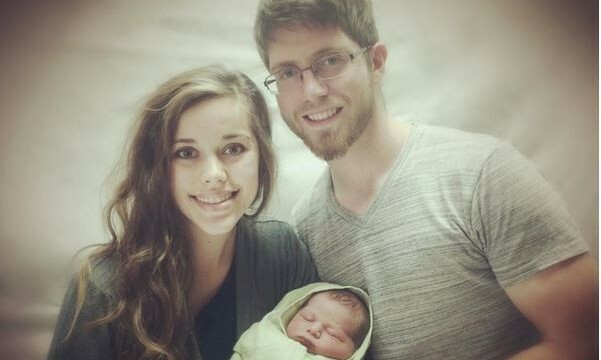 Celebrity couple Jessa Duggar and Ben Seewald have named their newborn son. According to UsMagazine.com, the happy couple made the announcement in a video on their Youtube channel. The new celebrity baby’s name is Spurgeon Elliot Seewald. He was named after a preacher and a missionary. Throughout the entire celebrity pregnancy, they nicknamed him Quincy. Glad they found a name that makes them happy! This celebrity couple finally came up with a baby name! What are some fun traditions to consider when you’re naming your child? 1. Family: Some of the biggest traditions are naming your children after family. There may be people you really look up to or love, so you want your child to represent their name. It would be such an honor for them and they really appreciate it. 2. Initials: If you and your significant other have the same first name letter, then you can name all your kids with the same letter. You can also think about making up cool initials for your children. Those are the two best ways when it comes to initials. 3. Unique: Pick out really unique names for your children. Try to find names you never hear. It will really make your kids stand out, but make sure it is in a good way. When you are choosing a name, think about your son/daughter. They need to like the name as well. What are some great traditions to think about when naming your child? Comment below!